In a previous blog post, titled Reviews of Various Twitter Feed Services, we concluded that IFTTT.com is the bomb. It has an extremely simple, visual interface (with nice and giant text and images), and most importantly, it works great! 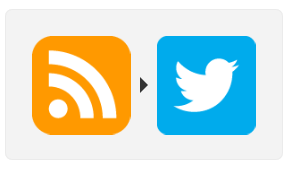 We have one mega Twitter account that uses all 36 IFTTT recipes, sharing updates from all regions across the site. As noted in the profile, that account isn’t for the faint of heart. It gets updated often (over 2,000 posts since late June) – which is a great reflection of how much activity the site sees! If you want updates, but you don’t want ALL the updates (if you live in Charleston, chances are you don’t care much that Brixie’s Saloon in Chicago just added the new Star Trek pin), there may be regional twitter/fb/etc accounts to follow. But if there isn’t one in your area, then… well, you can start one!! When we first started pinballmap.com, and only had a couple regions, we were like, “let’s set up a twitter account for each region.” And so we created @bcpinball, @seattlepinball, @la_pinball, and @portlandpinball… but then we stopped. Robo-updates are not the only things followers want to see. Followers are attracted to personalities, not just hard data. And it’s difficult to stay engaged when you have 5+ twitter accounts (granted, those accounts all have a decent amount of followers – people do like data! and also, we do post non-robo tweets to them semi-regularly)! This goes right back to why we have locally-based regional administrators for each region on the site: locals own their map; they know the area, and they know how to engage with others in the area and promote it. Having a local at the helm helps give users the impression that they are not alone. So we thought we’d share all 36 (now 37 – actually, now like 50 and counting) pinballmap.com recipes, one for each region that is currently on the site. If you live in one of these areas and are into pinball and want to help it gain popularity, then feel free to use (or modify) your region’s recipe. You can change the THAT part of the recipe: the update can be posted to Facebook, or sent straight to your email, or a number of other things (list of available channels). EDIT: Rather than continue updating this entire list, just go here to view all our shared recipes. Just yesterday, I shared the Eugene recipe with @pinballeugene, and five minutes later that account was posting map updates. It’s easy! Feel feel to post any questions/comments. Also, tell us if we’re missing any social media accounts that are sharing pbm updates. We probably are.